Party On A Plate is the perfect children's party solution for busy grown-ups. We offer a quality and unique children's party service, without the planning costs or stress, and combine style and substance. Party On A Plate delivers themed fun invites, great food, cake, party bags and tableware, ready to serve, direct to to your door, leaving you to be the perfect stress-free host. 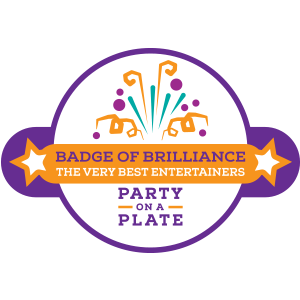 Our Badge Of Brilliance is awarded exclusively to the very best party entertainment so that you can book with confidence. 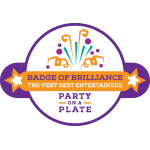 Get 10% off your Party On A Plate when you book one of these fabulously brilliant entertainers! 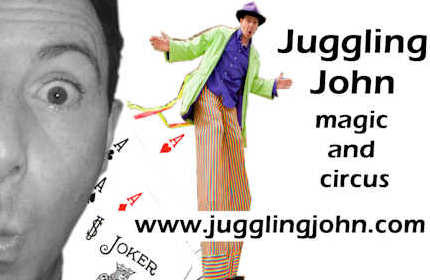 Juggling John has all necessary police checks, is a member of Equity and has full public liability insurance.